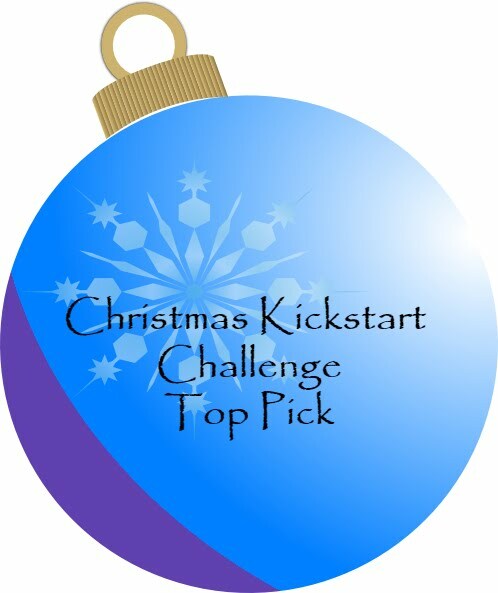 Its time for another challenge at the Christmas Kickstart Blog, This time the theme is "Frosty and Friends". I have this fairly new stamp set from Heffy Doodles called "Wanna Build a Snowman" so this challenge gave me the opportunity to ink it up again! I have stamped and coloured with Zig Brush markers and then fussy cut the elements. Next I created the background by distressing with Salty Ocean Distress ink and then cutting a curved piece of card for the snowline. I then embossed this with a falling snow folder and added the glittery snow using the SSS stencil and some Nuvo paste. I decided to use a pink card base for a change to match the penguins hats and scarves. 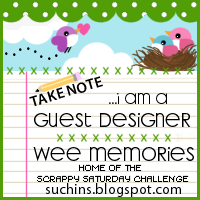 I am also adding this to the SSS Wednesday challenge "No designer paper". Seems strange to be making Christmas cards in April but my box is gradually filling and I know I will be thrilled in December!! My mojo has been absent lately so after browsing through Pinterest and Instagram I decided to do some colouring and make a Spring card. I found an old sheet of PP in my stash with this lovely dripped paint design and used that as my base and the theme for my colours choices. The stamp set is the "Even more Spring Flowers" from Simon Says which I stamped and embossed in WOW gold, I then coloured with Zig Markers and fussy cut. Next I layered on my card base and added splashes of gold paint. 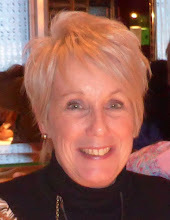 Hopefully my mojo is back again as I had two male Birthdays next week that I need to make cards for. Male cards are always a challenge lol! 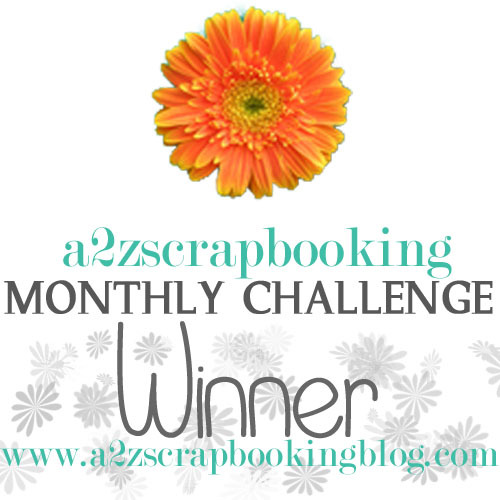 I am adding this card to the Simon Says Flickr Group challenge "Anything Goes". I love this fun "Elephant of Surprise" stamp set from Heffy Doodle and I needed a boy card so knew it would be perfect. First I cut the Happy letter from some patterned paper I found in my stash using Altenew Dies. Then I stamped and die cut the elephants and balloons colouring in with Zigs to match the colours in the paper. 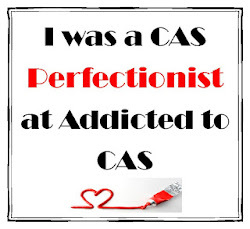 It was such an easy card to put together too. 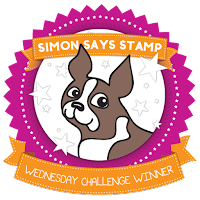 I am adding this to the current Wednesday challenge at Simon Says Stamp "Animal Antics". After making a few kids cards I needed to do flowers again!! So I stamped and embossed in WOW Rose Gold and fussy cut these SSS flowers from the "Even more Spring Flowers" set. I added a little colour to the leaves but decided to leave the blooms white for a more elegant look. The background was created using Oxide inks and a stencil, I am pleased with the grassy effect! My mojo has been some what lacking lately and I am hoping this card has kick started it again! I am adding this card to the SSS Flickr Challenge "Anything Goes"
After a few lovely Spring days we seem to be plunged back into winter with rain, sleet and hail, fingers crossed its going to improve as my daughter is coming down for some of the Easter holidays and we wanted to get out and about. Hope its better where you are. 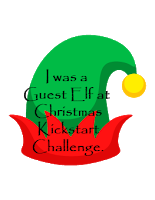 I was thrilled when Jo contacted me and asked if I would like to be a Guest Elf for this fortnights Christmas Kickstart Challenge#7 I love to take part in this Challenge and by the time Christmas comes I should have lots of cards in my Christmas stash! The challenge this time is "Delectable Die-Cuts" and I couldn't wait to get started, I have lots of Simon Says Snowflake dies and knew they would be perfect. I die cut lots of snowflakes in white, silver glitter and blue glitter and adhered them to the front of my base card. 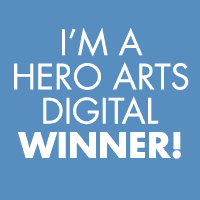 The card is really bright white and sparkly, the photo really doesn't do it justice, I then added a Hero Arts sentiment embossed in silver. 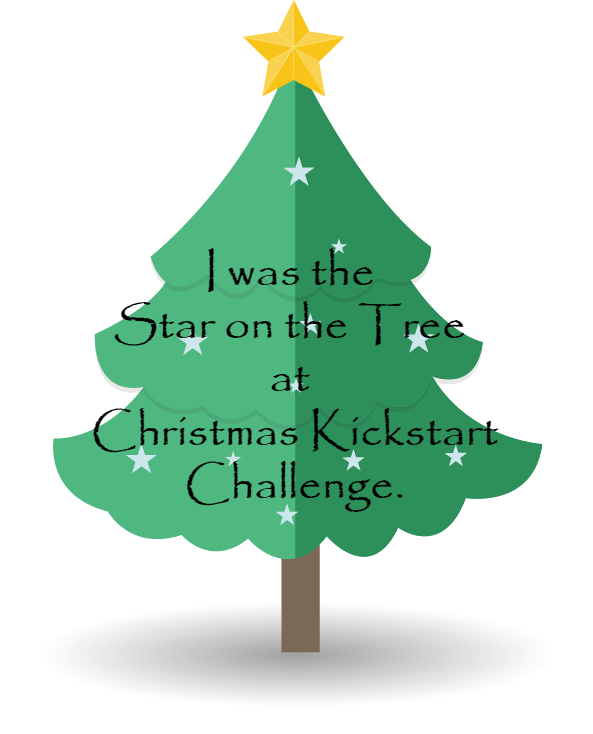 It would be lovely if you could find time to play along with the challenge. 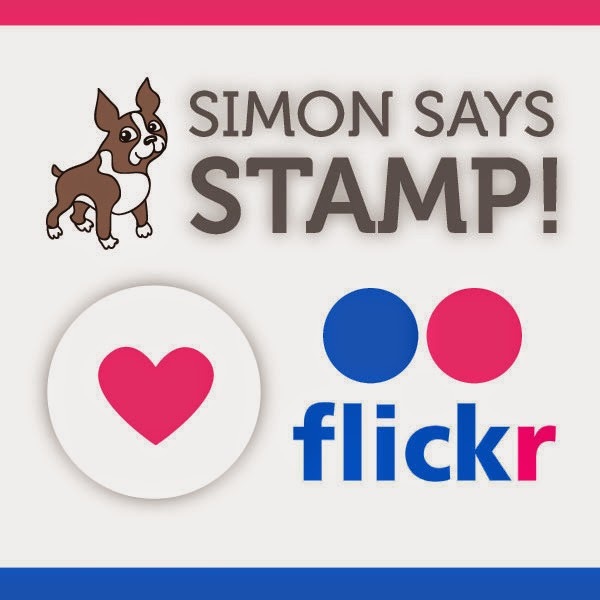 I wanted to take part in this weeks Simon Says Stamps Wednesday Challenge, the theme is "Cute" this week. 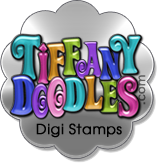 I have recently got these Heffy Doodles Elephant stamps and dies, perfect for this challenge. 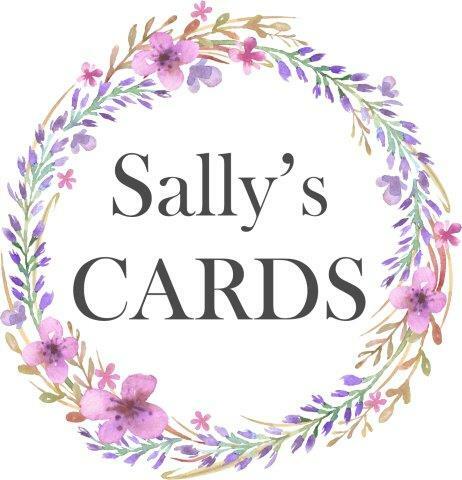 After stamping and die cutting my elephants and balloons I decided to make a card and matching tag. I coloured my images with Zig Brush markers then had to decide on the background, after playing for a while I wanted to keep it simple so distressed the background with Salty Ocean and Cracked Pistachio Oxide ink then using a stencil added the wavy design. The sentiments are computer generated. I had fun with these and know these stamps are going to be well used!! Another card for the Simon Says Flickr Group challenge "Spring has Sprung" . This time I have use the Cosmos Flower stamp and Distress inks. First I stampede the background in Spun Sugar the stamped the image again using Pickled Raspberry and highlighting with my Zig Brush Markers. This second image I fussy cut and layered up on foam tape to give the card some dimension. Lastly I added the sentiment and some sequins for sparkle. Our garden is now springing into life and I am looking forward to seeing some more colour in it. Flowers are blooming in Dorset and Spring is in the air so I was inspired to take part in the new SSS Flickr Group challenge "Spring has Sprung". I stamped and embossed in white flowers from the "Even more Spring Flowers" stamp set and then coloured with Zig Markers in this vibrant yellow!! Definitely a Spring colour. I then fussy cut and laid out on this embossed panel. A perfect card for a Spring Birthday. 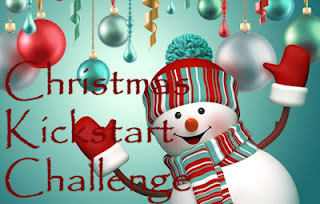 Wow that fortnight has flown by and its time again for the Christmas Kickstart Challenge, this time the theme is "Moves on Hooves"
Back in the January sales I got this cute set from Clearly Besotted called "Lets Prance" , perfect for this challenge. I created a little scene by distressing the background with Salty Ocean and Cracked Pistachio Oxide inks and then adding falling snow using my Simon Says Stencil and Nuvo glitter paste. Next I die cut the trees and added some snow lines with Zig markers . The reindeer are also coloured with Zig markers. I am also adding this card to the current Simon Says Stamp Wednesday challenge "Whatever the Weather,"